As companies gain more experience in social media, they further integrate social communication into their customer service strategies. In the Age Of The Customer, it is extremely important to ensure your business has a strong online presence and equip your team with the right social media tools for customer service. Whatever platform or channel your customers choose to reach out to you (or just tell the world about their experience with your company), stay relevant, be ready to respond — and make the most of customer feedback. In this article on using social media for customer service, we would like to get you familiar with some great tools designed to optimize your social customer support performance. Read on to discover trends and tips that will give your customer service a chance to shine. What is the first step into a great social media customer service? Make sure you know everything that’s being said about you online. With the growing popularity of sharing customer experiences online via social platforms and through review websites, you have to keep your eye on the ball and respond when needed. Social media monitoring tool would be a great help to have finger on the pulse by bringing alerts every time somebody mentions your name, brand or target keywords. This way you would be able to quickly track what’s going on through the mentions in blog posts, forums, Twitter and Facebook and timely respond to situations that could damage your reputation. For our company, we use Mention.Net, but there are many other options such as Social Mention, Talkwalker, Topsy. Like it or not, social is very public, and any time there’s a review, feedback or complaint, you’ll find yourself appearing on a public stage. Would you take any action? Don’t rush through it. Take the time to understand where you really need to step in with an apology, rebuttal or acknowledgement. According to a Netbase survey that asked consumers how they feel about social listening from brands, 51% of consumers want be able to talk about companies on social media without them paying attention, with 43% even feeling brand listening is a direct invasion of their privacy. Handling customer issues through social media is not an easy task, and there’s no cure-all advice. Try stepping into your customer’s shoes and asking yourself what is the real meaning behind the comment or question. Would they share their experience with you directly? Did they have a chance to be heard by you in private before airing their gripes to the public? Let’s move to another important step of outstanding customer service – ensuring you give your customers and prospects a convenient way to reach out to you whenever they run into a problem, need an answer or have an information request. That’s where a Live Help tool comes in. With Live Chat software you can easily and immediately deal with customer concerns, tackle problems and provide great customer service. Rich with multiple advanced features, Live Chat gives your team an ability to serve your customers better, respond faster and gain higher satisfaction rates while saving your company time, costs and even reputation — in some cases. Most Live Chat providers offer special codes for integration with each of social networks (Linkedin, Facebook, Twitter, Google+) letting you easily increase the number of channels through which clients and prospects can contact you. As the volume of private messages and posts increases, communicating with customers through social media might become quite a challenging task. You can often be talking to a person across Twitter, Facebook or a blog, and need to keep track of a history of your communication in one place, especially if others in your team could be talking to the same person as well. To keep track of requests and customer service questions without having to switch back and forth from support desk to Facebook, Twitter, etc., consider using a software solution that automatically distributes social media messages to your customer support representatives. There are lots of options available, you can choose a solution suitable for the size of your business and what you want to get out of it. The most popular options for small business include Insightly, Nimble, BuzzStream, Sprout Social, SparkCentral – just to name a few. What is more, there are some state-of-the art solutions out there that combine both monitoring and contact management functionality to help companies deliver delightful online experience through social media. To get a quick insight of how it works, take a look at the ‘Anatomy of a Social-Powered Customer Service Win‘ by SalesForce, a short, sharp Prezi that takes you through a typical case, from angry tweet to happy ending. Have you succeded to integrate any of these tools in the customer service in your company? We would love to hear about your experience, and if there are any other useful social media tools for customer service, please share your experience with us too. As always, you are welcome to share this article to anyone that you feel will benefit from it. This entry was posted in Articles and tagged customer service tools, social customer service, social media tools for customer service. Bookmark the permalink. Thanks Julia! I think you would be interested in our solution, which was built specifically for Social Customer Care by some folks who have a long experience in Contact Centers. Effectively we bring Social to the Contact center so you can service that channel like others – voice, chat, email. We have also just concluded a research study with ICMI. You can find this on our website, along with info on our SoCoCare platform. One big difference we bring is the application of a natural language processing engine to the posts, helping to differentiate spam from actionable items. If you would like to chat more please let me know! 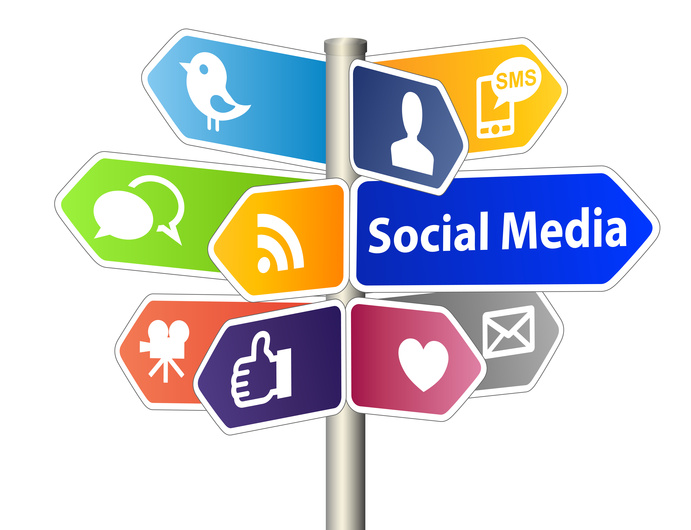 At the age of technology, it is very important to enhance your social media worth globally. If you have links or connections on social media like facebook, twitter etc. then you can run your business successfully. You just have to provide best customer services that you can deliver by using different techniques and live chat software etc. Information provided by you is good and nice discussion as well. I’m with you 100 per cent on that, Harry. Thanks! Glad you enjoyed the article. Thanks for the article. its a nice one. i really like it. Ya Ofcourse I shall definitely will include all the above tools for the feedback from my customers as i have to keep the tracks of all my customer grievances, acknowledgements and well doing across at my eye sight.